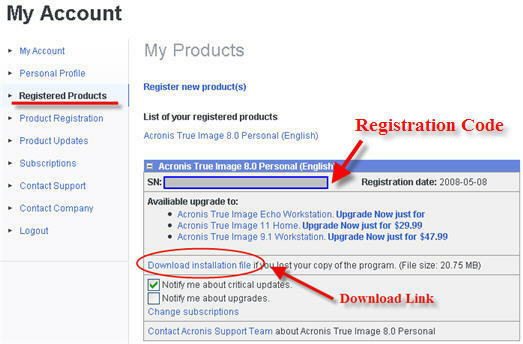 Long ago, I blogged on how to get Acronis True Image for free via Seagate legally without using any crack or keygen, Here is another similar opportunity to get your personal genuine registration code for Acronis True Image 8.0 Personal Edition. Acronis True Image 8.0 Personal Edition allows you to make clone images of your hard-disks and partition's, and restore the backup image for 100% data recovery when disaster strikes, Acronis True Image 8.0 also features Bootable Rescue Media Builder to prepare bootable rescue media like live CD or floppy-disk which can be used to boot the computer and restore the system in-case the OS is unable to boot. Visit this promotional signup page and fill details to signup using a valid email address. You will now receive an email with Confirmation Link, Click the confirmation link. You should now login to your Acronis Account using your email and password (as provided to you in the step above) to download the installer and get the registration code (See image below). Use the Serial Number provided in the step above while installing, and enjoy unrestricted full version of the software. Thanks for the information! It took me all of 60 seconds from registration to download! 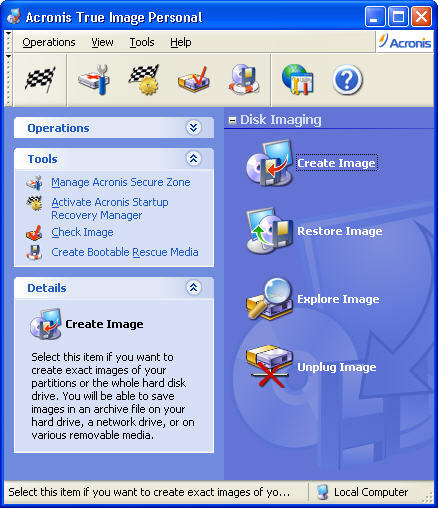 Acronis True Image 8.0 Personal Edition. Thank you very much. Very detailed and very helpful. This offer has already expired. If you have any questions, please contact us.